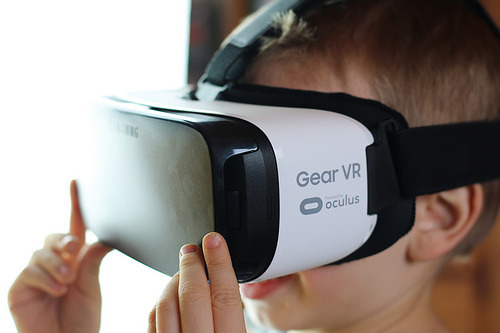 Samsung Gear VR is a VR (Virtual Reality) device developed by Samsung Electronics in partnership with Oculus VR. 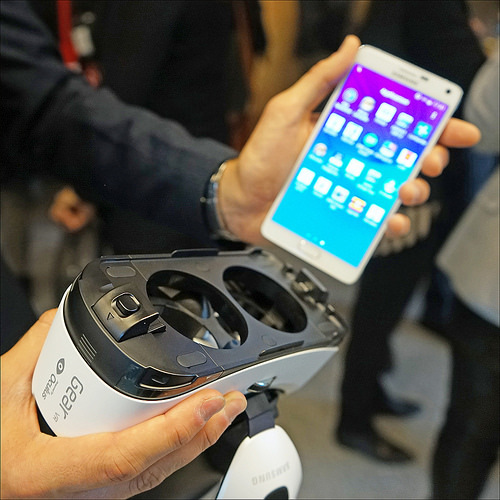 Only certain variations of the Samsung Galaxy Note 4 connected to US carriers can be utilized as a driving computer and the screen, built in the Samsung gear VR device. This new Gear VR is the 4th redundancy of the Samsung Company’s Gear VR headset powered by Oculus. The company revealed the VR along with new Samsung Galaxy Note 7 Smartphone, and the company did not increase the price of their new invention, it still costs 99 dollars similar to its predecessors. 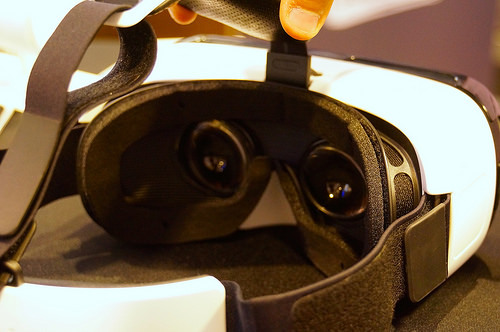 However, this new Samsung Gear VR is very similar to the last year’s Gear VR. It is a wireless device, to power the VR you have to use your Smartphone, it is easy and comfortable to wear, comes with a bigger library that offers affordable and free apps, videos, and games, it is easy to setup. In the Samsung Gear VR review, you can find the users experiences with the additions and differences in the new gear. The new Samsung Gear VR looks exactly like the last years Samsung headset, but, the new one has some visible differences. The new gear VR offers more room inside and some vents on the side of the headset. So, you don’t feel any lens fog with new Gear VR. The Company also claims that the new Samsung Gear VR is more comfortable and it fits on any type of face. The headset is made of black plastic and it comes with a new Oculus home button, which is located above the trackpad, once you get used to it, it is very easy and handy. The Gear VR is easy to use and more comfortable as has a very light weight headset and it comes with a touchpad and offers wide turf of view, low latency, and exact head-tracking brings reality t the virtual. You will be taken to the new worlds, in the video, games, and images. It is compatible with Samsung S7 edge, Samsung Galaxy S7, Note 5, S6, S6 edge, and S6 edge+. Better fit, including more room and better padding for extra durability and comfort. The real visual experience will depend on the Smartphone that you use, of course, it works better on Samsung, but the company made some improvements to the real headset, whichever phone you use, it can enlarge the viewing angle from 96 degrees to 101 degrees and, they darkened the tint to decrease the reflections and glare. The other improved feature in the Gear VR is its USB Type-C adaptor as it allows you to plug in directly. The S7 Edge and S7 phone owners can also enjoy the VR action by removing the old Micro USB and replacing it with the USB Type-C adaptor. What is the price of Samsung gear VR? The gear VR developed by Samsung costs $99 dollars in the United States and 80 pounds in the United Kingdom. In Australia, the gear VR costs $159 Australian dollars. The Samsung Gear VR headset includes a back button located on the side, a touchpad, and also a sensor that can identify when the headset is on. The button and touchpad allow a minimum input capacity for users to interrelate with the virtual environments.